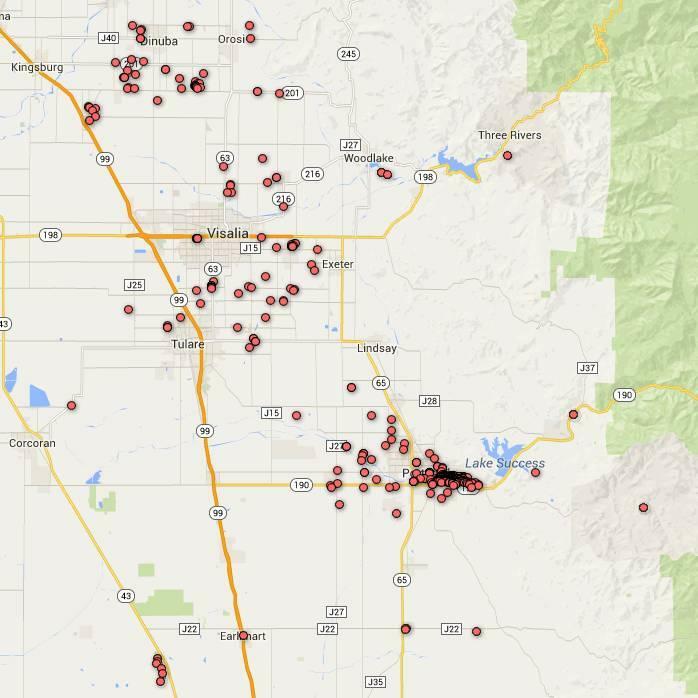 Each red dot on this map represents one household with a dry well in Tulare County. “As we find additional datasets we reconcile those in and you start to see these bumps," Lockman says. Lockman says the number of permits to dig wells is up 54 percent at almost 1,500. He says there’s an increase in dry wells across the county, but that the community of East Porterville makes up 75 percent of the 525 dry wells.